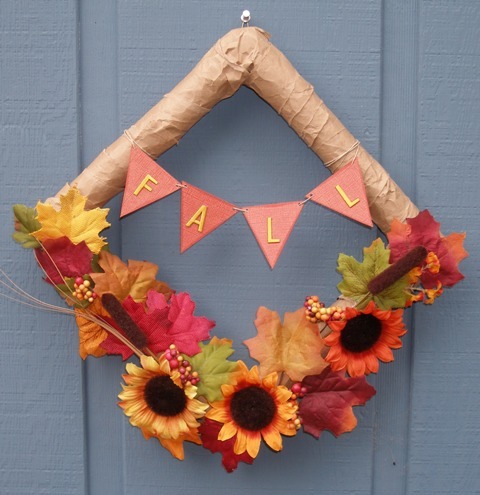 Who says a fall wreath filled with bright sunflowers has to be round? 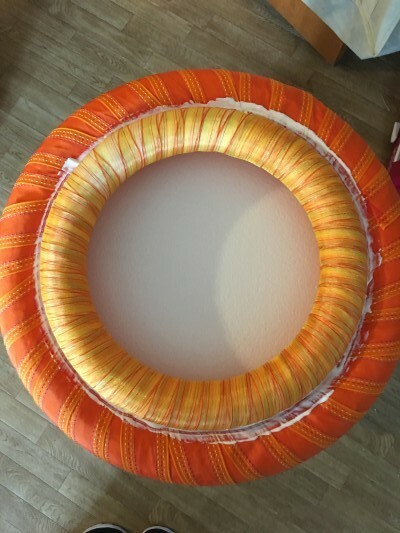 With Smoothfoam rods, you can easily construct a unique diamond or square fall wreath for your autumn décor. 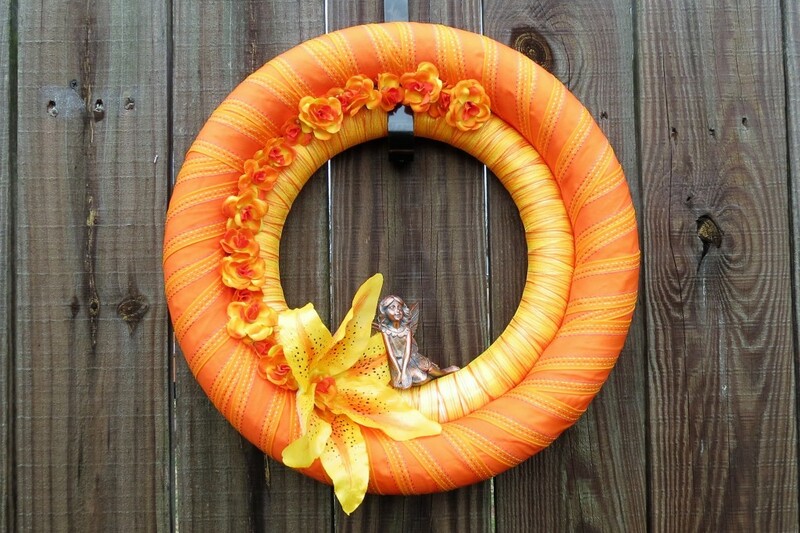 Learn how to make this festive autumn sunflower wreath below. 1. Cut each rod end at a 45-degree angle in opposite directions. Smooth with sandpaper and connect the junctions with tape. 2. 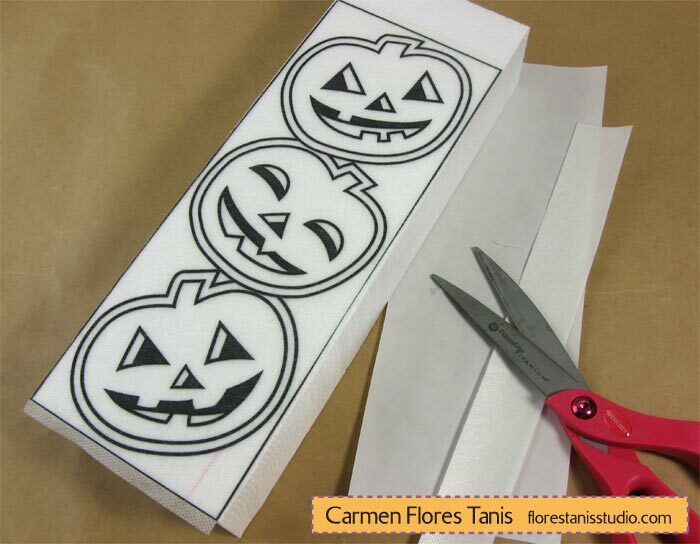 Tear brown paper into 2” strips and scrunch them to wrinkle. 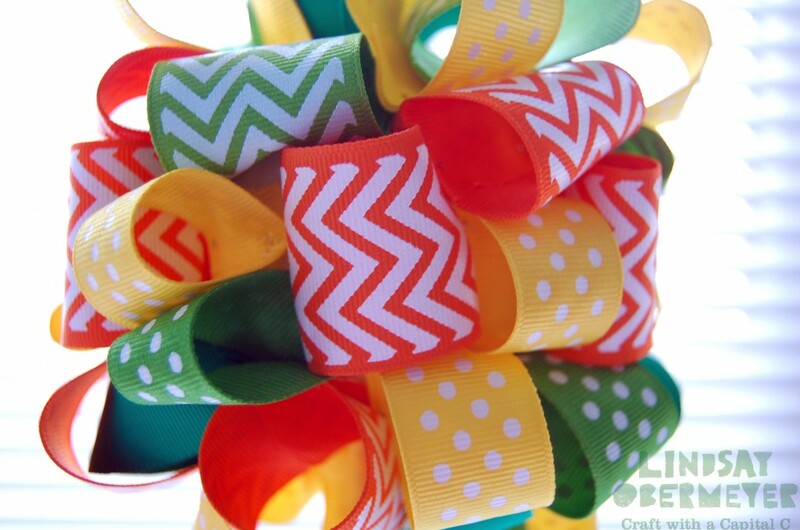 Wrap the wreath form with the strips, tacking them down with sequin pins. 3. Cut the leaves, flowers and berries off their wire picks and glue them on the bottom corner of the wreath, working up the two sides. 4. 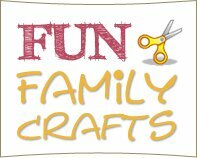 To make the bunting, cut small flags from cardstock and glue the embroidered letters to each flag. Distress the edges of the flags with the ink pad. 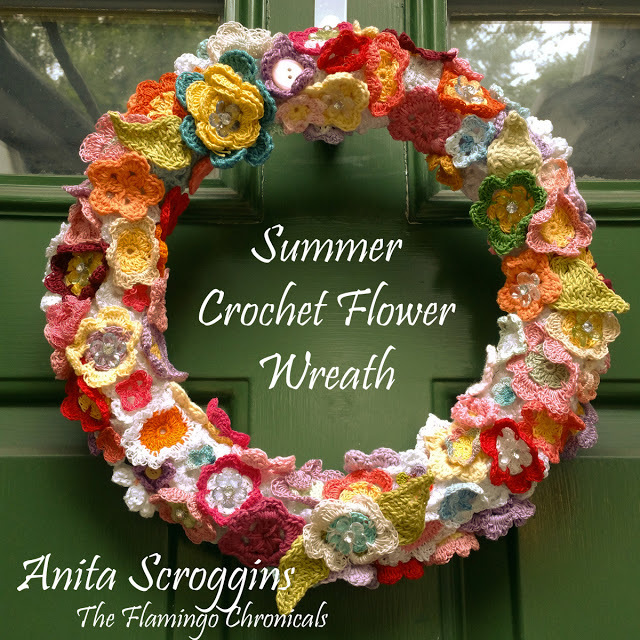 Punch a hole in each flag and string them on twine, then tie the ends around the wreath. 5. 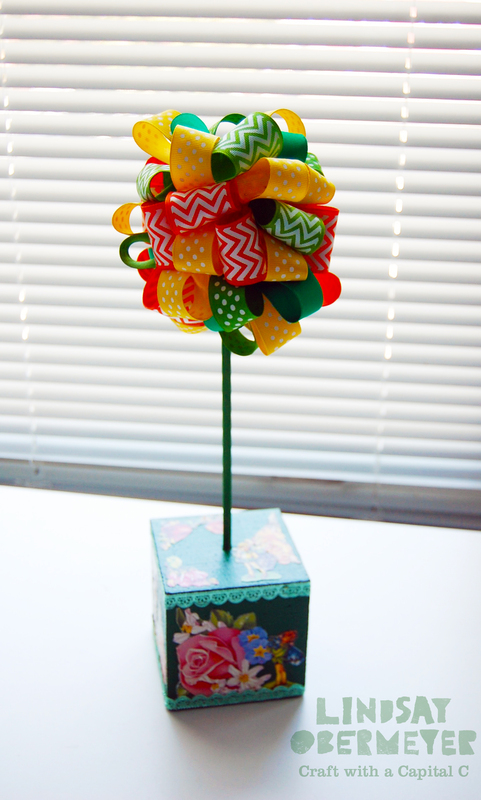 Tie or glue a loop of twine at the top to hang. 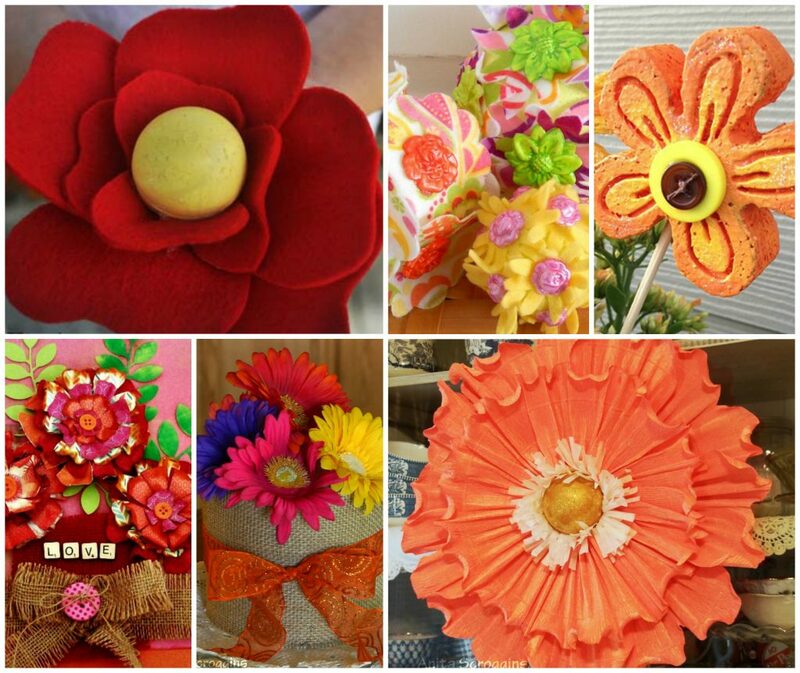 We love the holidays – and we especially love all the fun holiday decorations you can make with Smoothfoam, like all these different kinds of pumpkins. 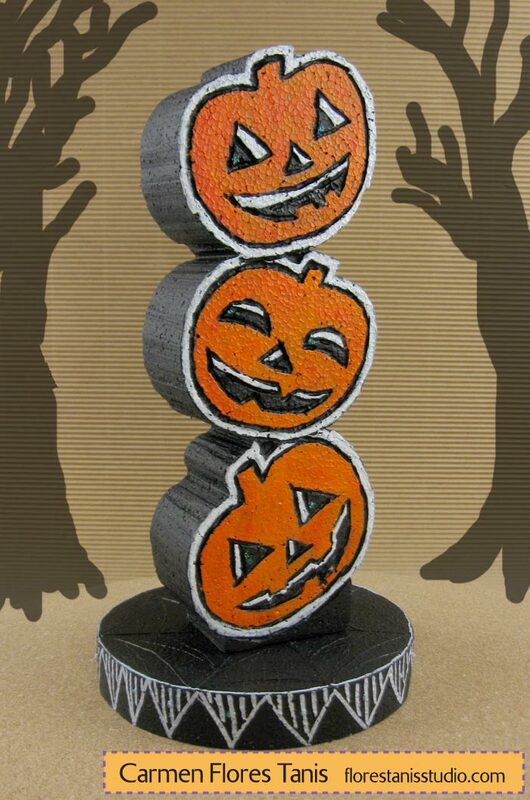 We hope you and yours have a frightfully fantastic Halloween weekend! 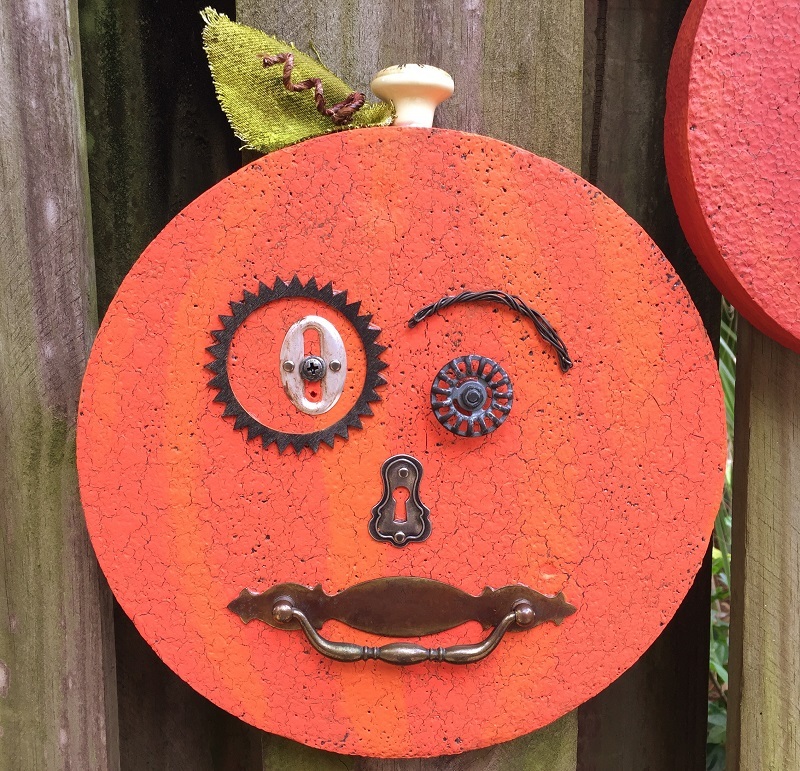 Junk + Pumpkins = Halloween Junkin’ Punkins!! Welcome to fall, my favorite time of the year! 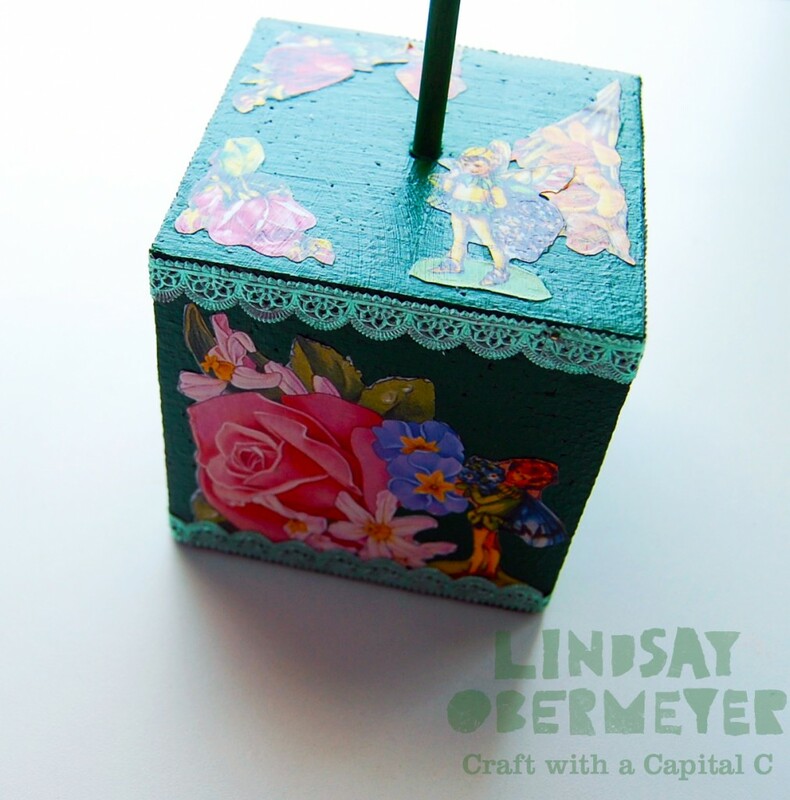 I love re-purposing everything vintage and using up all the bits and bobs that end up in my craft stash! 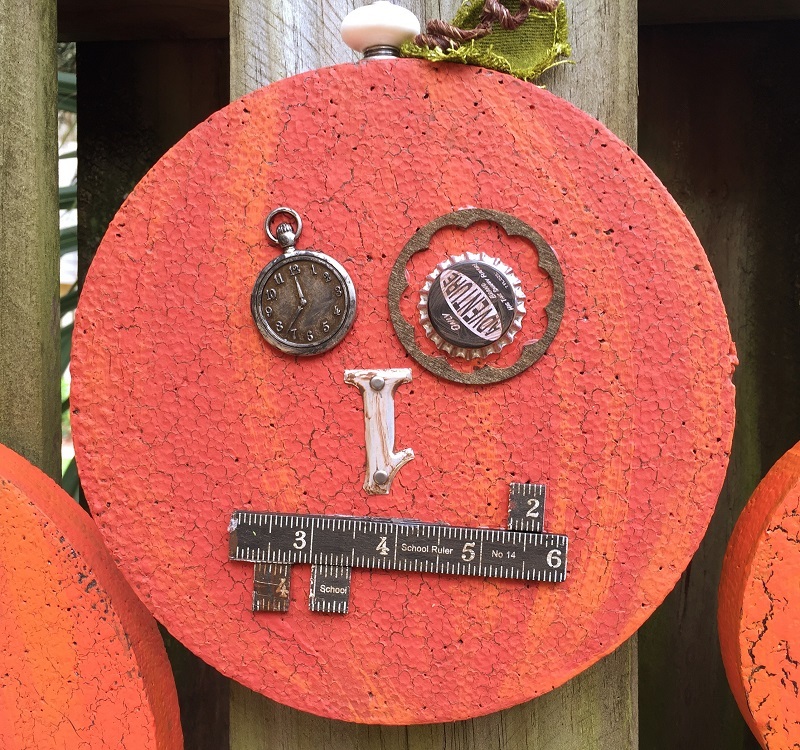 I discovered a rustic version of Junkin’ Punkins on Pinterest made with gears, springs and chains on real pumpkins,THEN I adapted the idea to use with Smoothfoam discs! 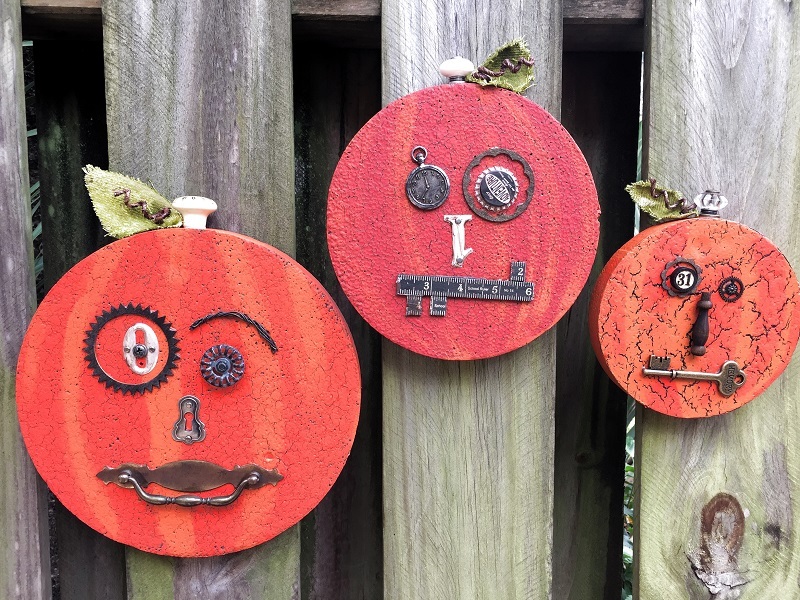 Make an entire family of Junkin’ Punkins! Knobs, drawer pulls, keys, bottle caps, wood pieces, rulers, metal numbers, gears, faucet handles, etc. 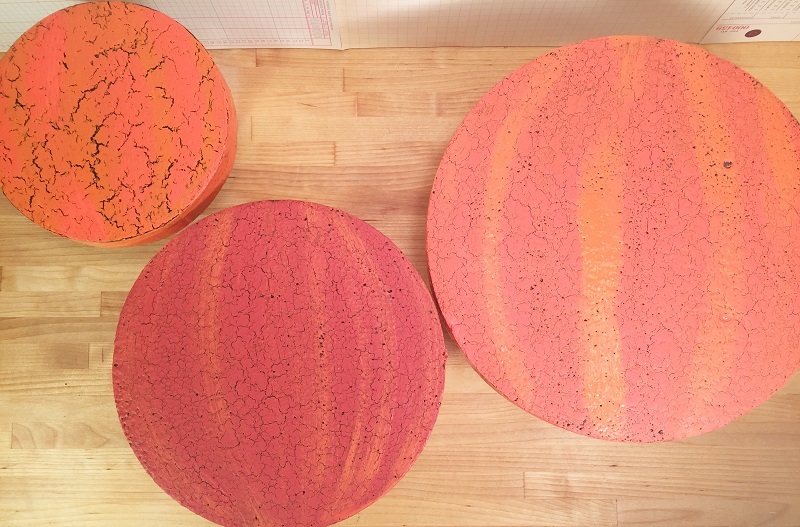 Paint the Smoothfoam discs – one black, one gray and one brown, let dry. 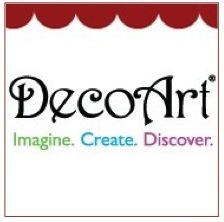 Apply a generous coat of Crackle Medium to each disc, let dry according to package directions. 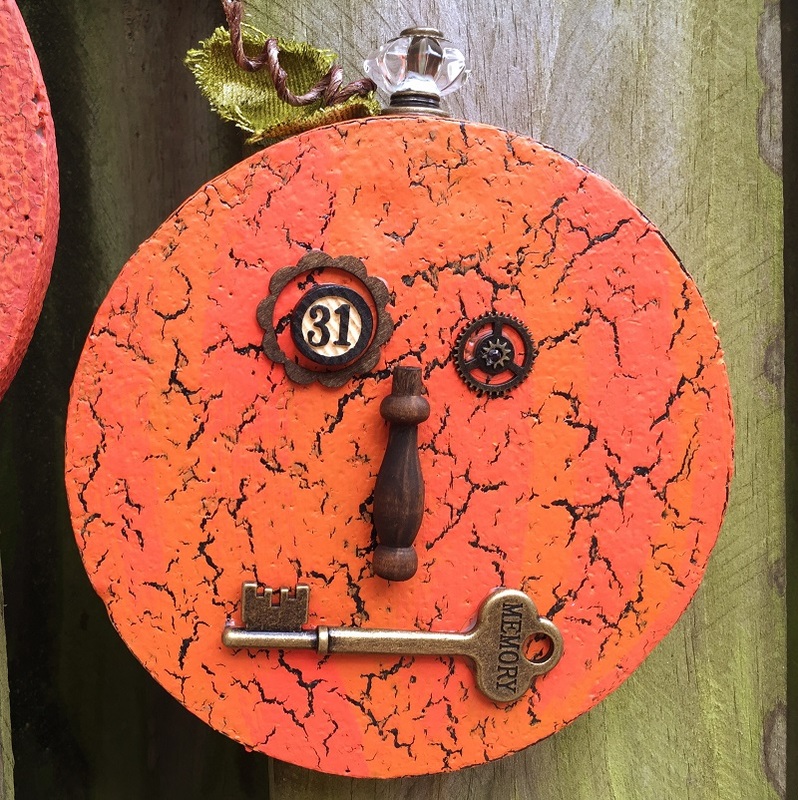 Brush a thick coat of paint to each disc with the different orange and tan shades. 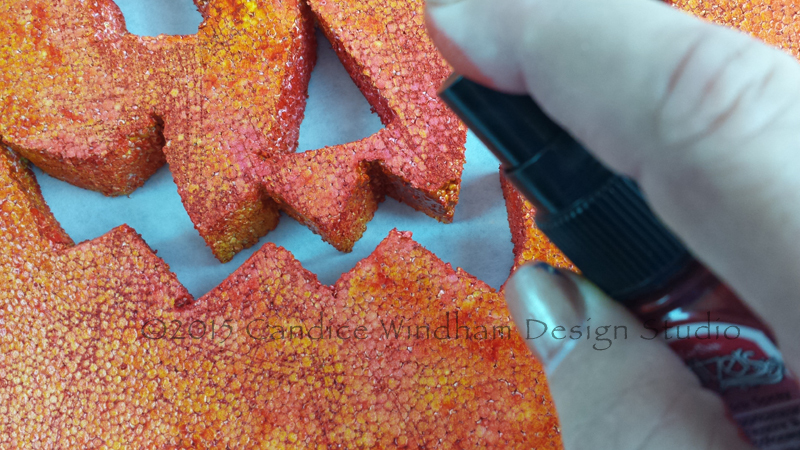 Let dry to reveal the crackled effect. 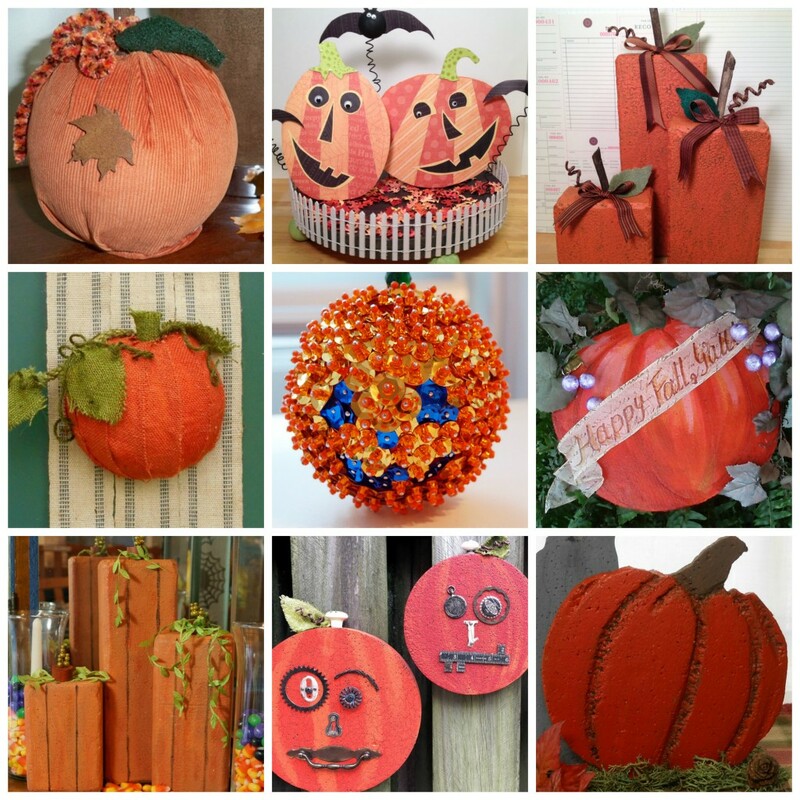 Arrange junk to create faces on each pumpkin – when you are happy with the composition, glue everything down and let dry. If some of your junk looks too new, distress it with a little black or brown paint by rubbing a bit on with your finger. Mist the canvas leaves with ink, let dry. Cut and twist wired twine. Glue canvas leaves and fancy drawer pulls to top of your Junkin’ Punkins and let dry. Insert wired twine next to the leaves. 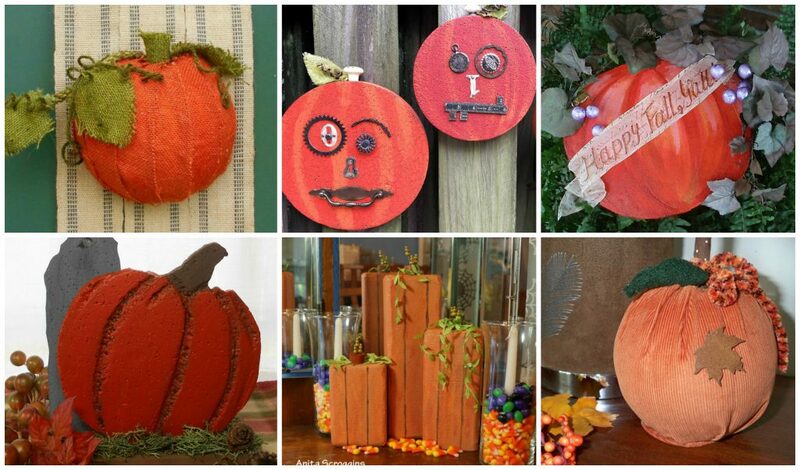 Attach a sawtooth hanger on back of each Smoothfoam Junkin’ Punkin’ and let dry. 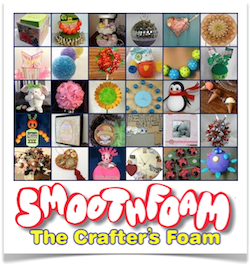 Thanks for stopping by and don’t forget to check out the Smoothfoam Facebook page for tons more inspiration! I love this time of year and fall colors are my favorite thing. I love the red and brown of the leaves, the purple, the gold and burgundy of the the flowers and, of course, the orange glow of pumpkins. Literally. 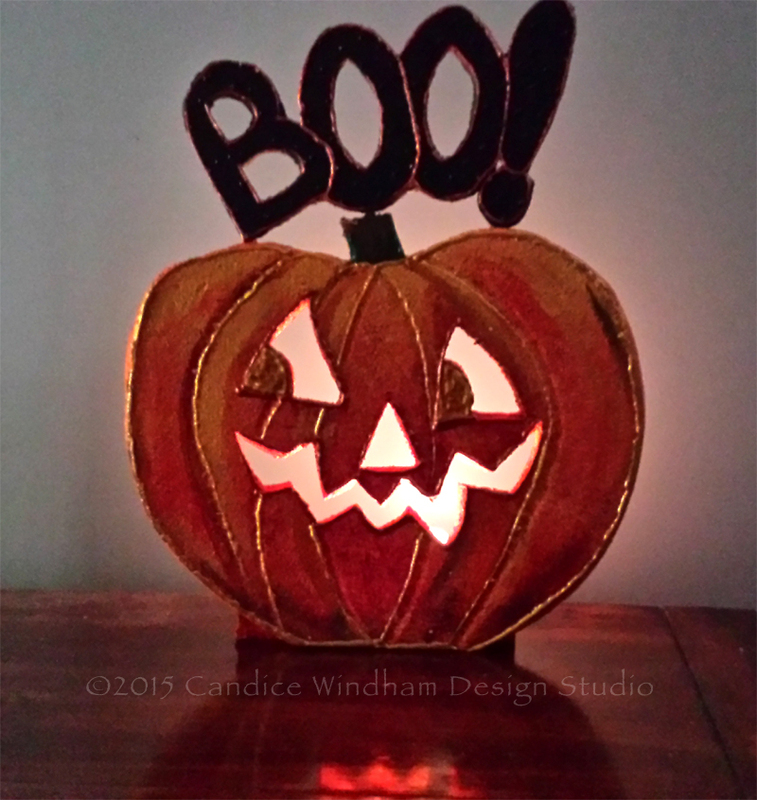 This pumpkin with it’s spooky message is designed to glow with a battery-operated tap light. 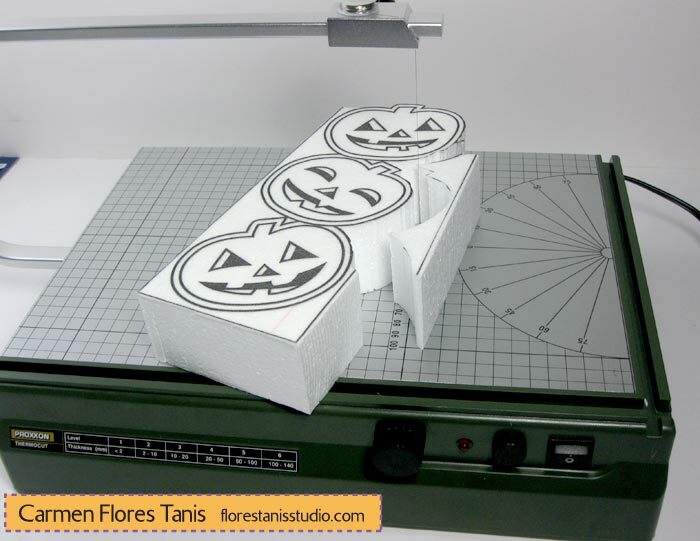 Draw and cut the pumpkin and BOO! shapes from Smoothfoam. Cut out the eyes, nose and mouth. 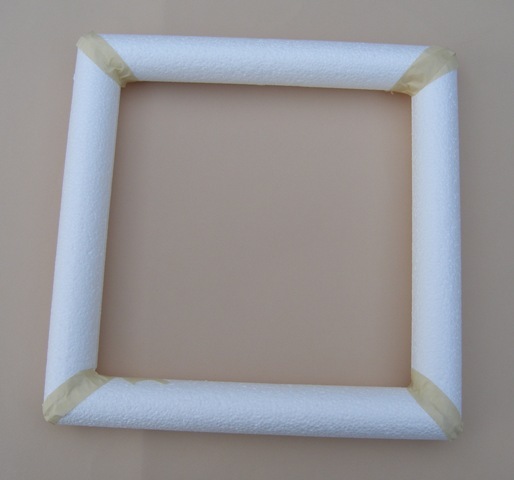 Cut a 6″ x 4″ piece of Smoothfoam for the back support. Sand the edges to remove any rough spots. 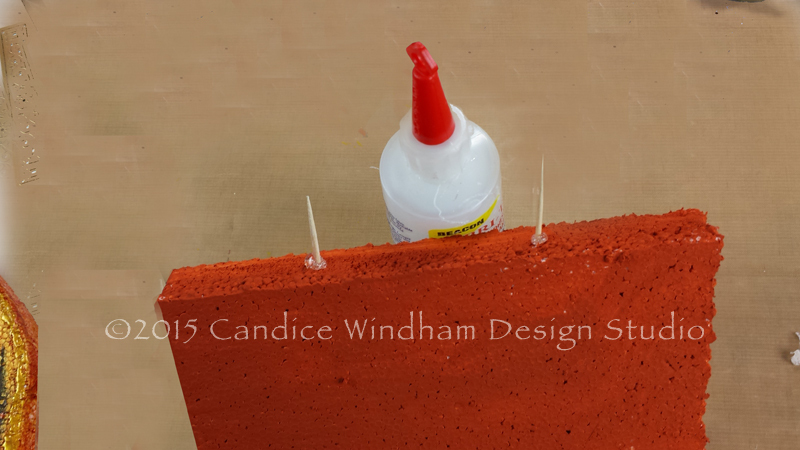 Tip: Rubbing wax along your cutting blade with make it glide through the Smoothfoam – thanks to Cindi Bisson McGee for this tip! 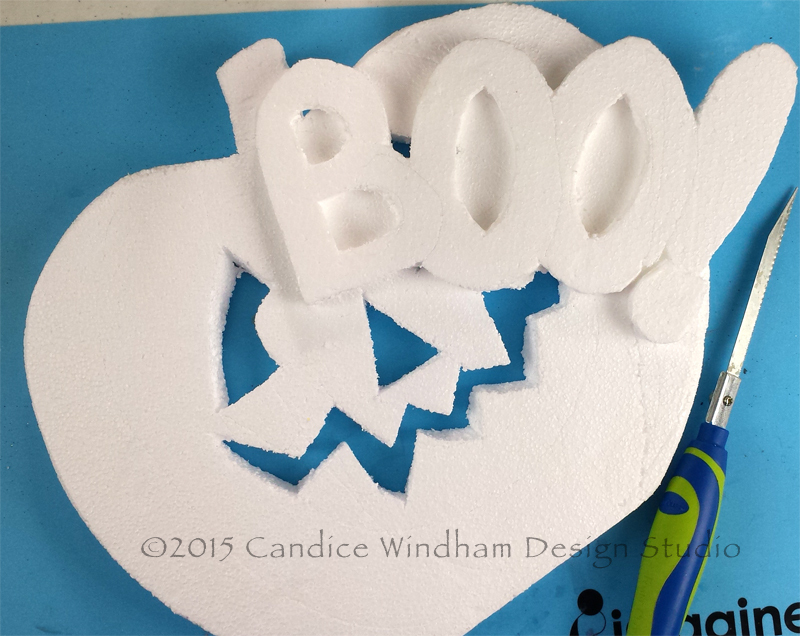 Paint the BOO! cutout black. 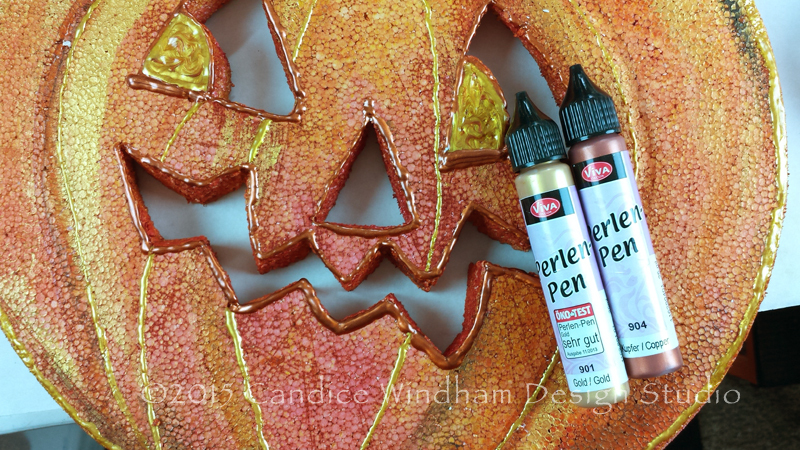 Spritz the pumpkin with red and yellow ink. The spray inks make it easy to get the color inside the eyes, nose and mouth. 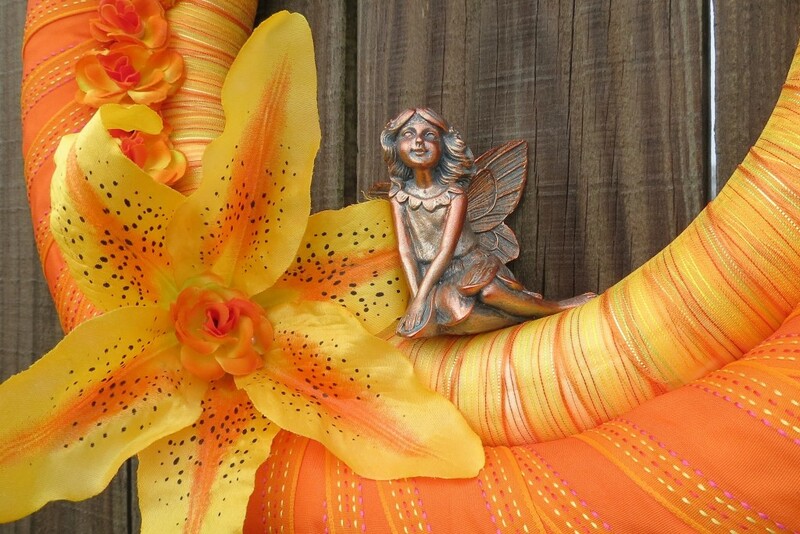 Highlight the shape of the pumpkin with orange craft paint, then metallic gold. Paint the stem green and black. 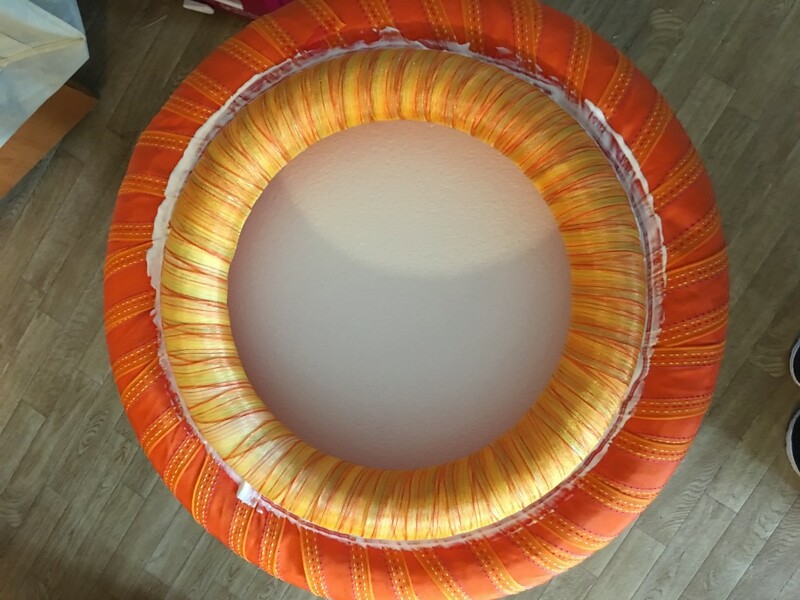 Paint the back support orange. Allow to dry. 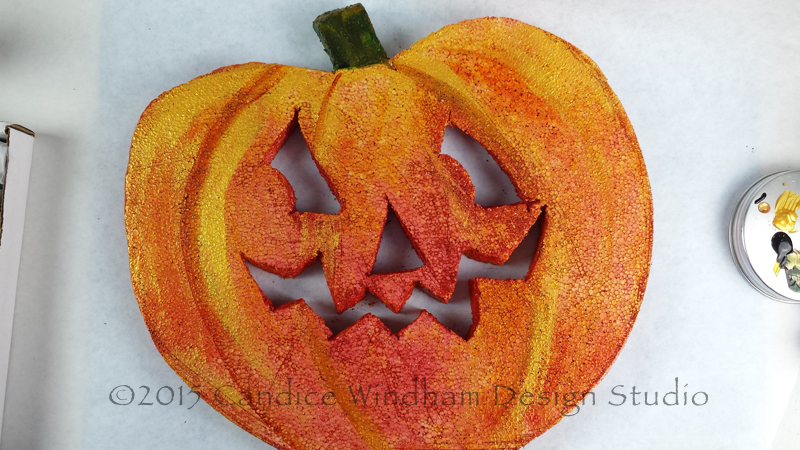 Draw the outline and ridges of the pumpkin and outline the features with dimensional paint pens. Dot the BOO! 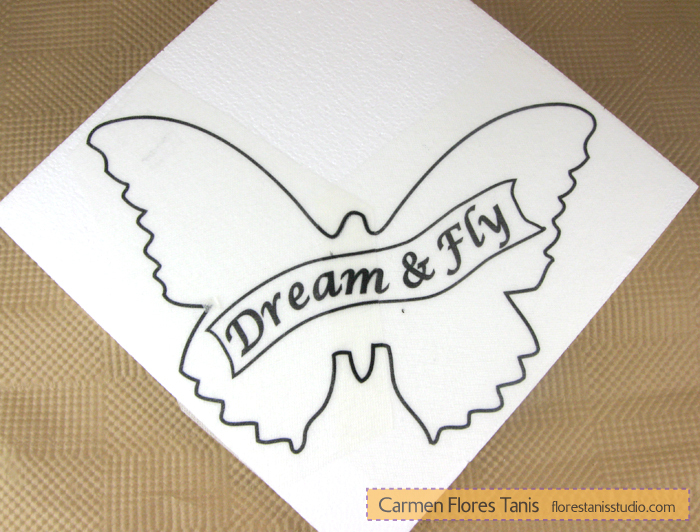 with black glitter pen and outline the edges with copper pen. Allow to dry. 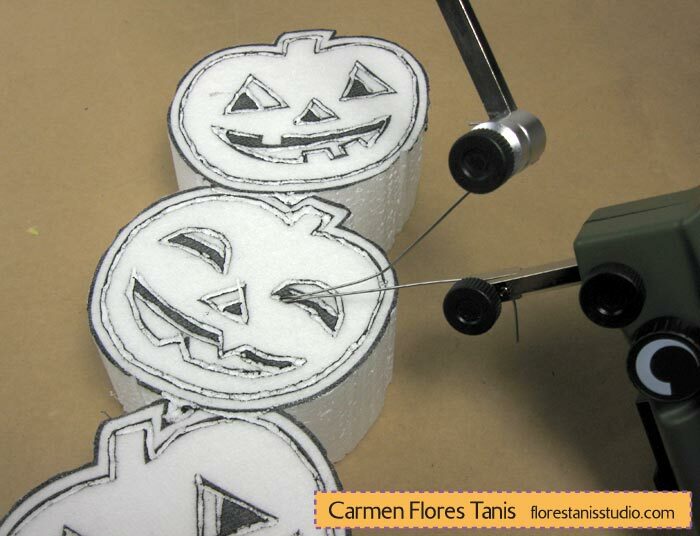 To assemble, insert two toothpicks dipped in glue into the base of the BOO! about halfway. 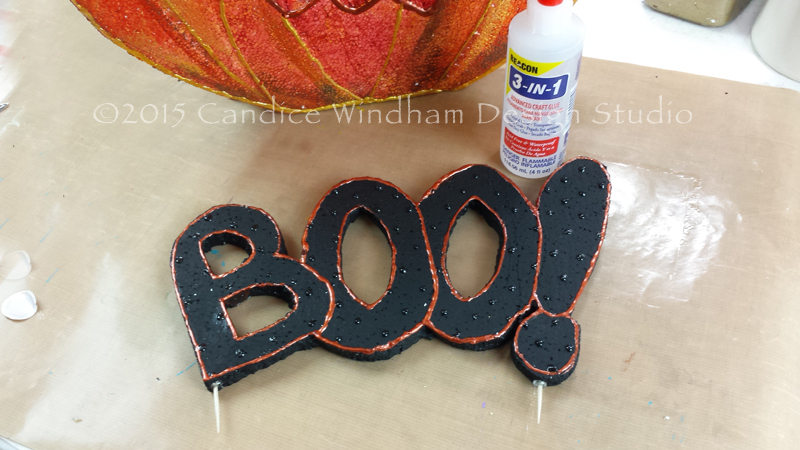 Dip the remaining ends in adhesive and insert them into the top of the pumpkin. Insert the two remaining toothpicks dipped in adhesive into the base support about 3/4 of the length of the toothpicks and insert the remaining ends, dipped in adhesive, into the bottom back of the pumpkin. 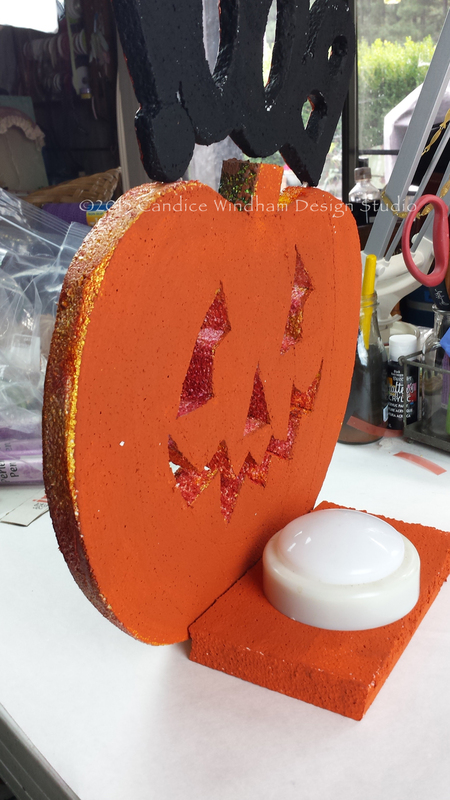 Place the pumpkin on a tabletop or shelf and place the tap light on the base support. Turn it on for an eerie glow.